Given the fact that most of us have become extremely conscious about the way we look, getting rid of the excess fat from the body has become an absolute necessity nowadays. But also given the fact that most of us live a sedentary lifestyle with little or no exercise, possessing a dream figure remains just that – a dream. 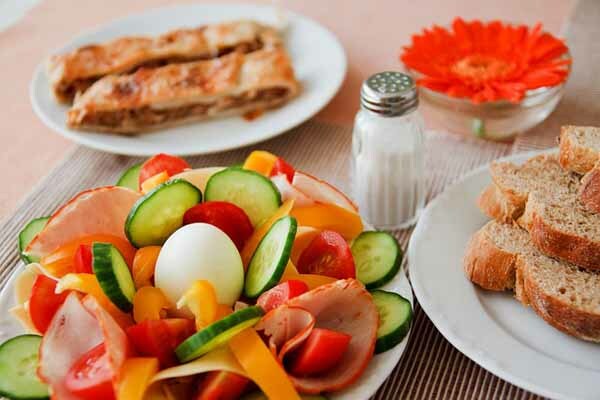 There is not one but so many ways outs there to rid the body of the adamant fat from whichever part of the body you want to, but the only thing lacking is the motivation to do it. Many a times when we follow a routine for a week but don’t see results instantly, we suddenly start feeling discouraged and end up quitting the activity. What is to be noted here is that it takes time for the results to be fairly visible. Apparently our patience levels are too low. So, the very first piece of advice before you start to read this article further is that no matter what you start, don’t stop until you start seeing results before your eyes and remember, IT TAKES TIME. 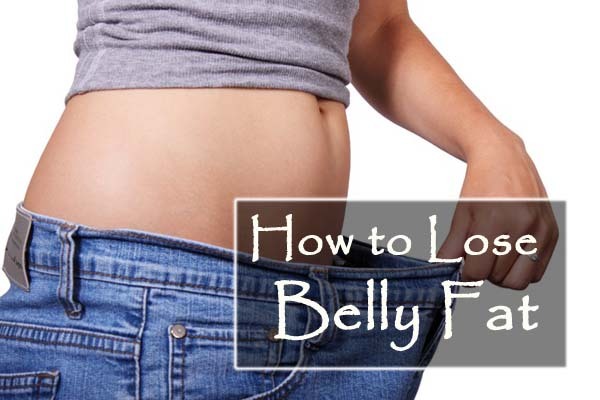 We are going to talk about the most talked about topic – how to get rid of that stubborn belly fat. A lot of people we see (and even ourselves) have that muffin top or love handles and no matter how hard we try we just can’t get ourselves to get rid of it. But if you follow these few tips given below, we are definitely sure, you’ll be one step ahead of your perfect-figure goal with great lines of tasteful muscle tones. Every single person is shaped differently, has different genetics and even the expectations of the perfect body are different. However, all your expectations should be realistic to your body shape. But what is important is never to compare yourself with anyone, just be the best version of you. Do only as much as you can, without harming your body. You CAN NOT spot reduce. If you have an overall toned body, but you have muffin tops and excess belly fat, you will have to work out your entire body. And when we say work out, we mean lots and lots of cardio to actually get rid of the fat. Proper Diet. Let’s get to the point first – to really make sure that you lose belly fat, you have to make sure that your diet and nutrition are on track. First and foremost, if you are consuming good foods, it is going to bring the overall fat levels in your body down. Avoid eating too many things that are high in sugar specifically. And if you can avoid consuming so much fat and unhealthy food products, you will ofcourse end up avoiding storing so much fat. Don’t Skip Meals. This is probably going to be against some of your rules, but you absolutely have to avoid skipping meals. Even though you may feel little more slender after skipping a meal, but the problem will arise when you eat after fasting. What happens is that you body goes under a shock when you eat after a long duration that it stores more fat. So skipping a meal is definitely not a good idea. Bloating is another reason why our bellies seem fat at times. The reason for bloating is mainly unhealthy digestive tract system. If your digestion is good, then all the food that you consume is properly passed through the digestive tract without any chances of bloating, but if not, you know what happens. So, to avoid that, make sure you include fibre in your diet. Lay down on the mat with legs straight up over your hips. Drop your left leg out first and cross both the legs back and forth. Make sure that you have nice and quick motion and that your legs remain as straight as you possibly can. Bring the one leg at a time up over the top of your chest then all the way back down almost touching the floor and then back to the top again. Keep your abs contracted nicely the entire time you are doing this exercise. You should really feel your heart rate going up just after the flutter kicks. The best way to start doing a side plank is to lie on your right side first and keep your right arm at a ninety degree angle on the floor so that when you are on the plank, you are putting some of your body pressure on your wrist and elbow and try not putting a lot of pressure on your shoulders. Now in the sideways position, lift up your hips and overlap your legs. If that’s uncomfortable, then lay one leg flat on the floor for balance. Now keeping the chest high, shoot your hip further up, not at all leaning forward. Extend the left arm straight up to the ceiling. Hold this position for 30 seconds and slowly come back to your original position. Start with lying down on the mat with your knees towards your chest and both your arms straight up towards the ceiling. Now extend your legs out to forty five degrees. Inhale to prepare from here and exhale and lift up your shoulders and bring your chin towards your chest and roll up in a manner that your hands reach up for your toes. Now inhale and upon exhalation, bring your chin towards the chest and slowly rest your back on the mat. Hug your knees in towards your chest and come back to the straight lying down position. Lie down on the floor with your face facing the floor and bring your hands underneath your shoulders. Press into your hands while inhaling and go into almost a full extension so that the elbows are elongated. As you exhale, roll forward onto your chest, lift your legs up and then return right back up. Now you have to sweep the arms in front of you. Lower the chest towards the mat, sweep the arms forward and then catch yourself. Repeat the motion 2-3 times. All you have to remember is to inhale down and exhale up. Lie flat on your back and straighten out your arms on the sides. For more of a beginner level, you can bend your knees a little and rotate the hips to either side but make sure you don’t let your legs touch the floor. Swing the hips and the legs to the opposite side now. For more advanced version, just keep the legs straight and feel the stretch in the obliques. All the above mentioned exercises must be performed under the guidance of a trainer. 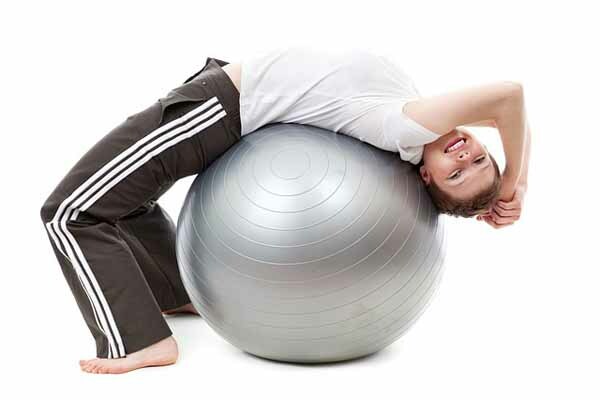 There may be times when an exercise is performed incorrectly; this would eventually lead to injury. Moreover, if you are suffering from any ailment, make sure you consult your doctor before following these tips and exercises. Apart from that, make sure you drink enough water to keep your body properly hydrated and that you incorporate nothing but healthy diet programs. Yes, indulging in sugary foods isn’t bad once in a while, but it should be consumed ONLY once in a while. That’s acceptable. You can definitely give yourself a few cheat days in a month (read ONLY two). So there you have it, the tips and ab-centric exercises that you should follow to be one step ahead of your belly goal. Is there any particular exercise that you do with the help of which you have seen great results? We would love for you to share it with us.